The roommate, Dr. K, was out of town this weekend and that left me in charge of her dog Max. No biggie. Max is a pretty easy going ten pounds of nothing. 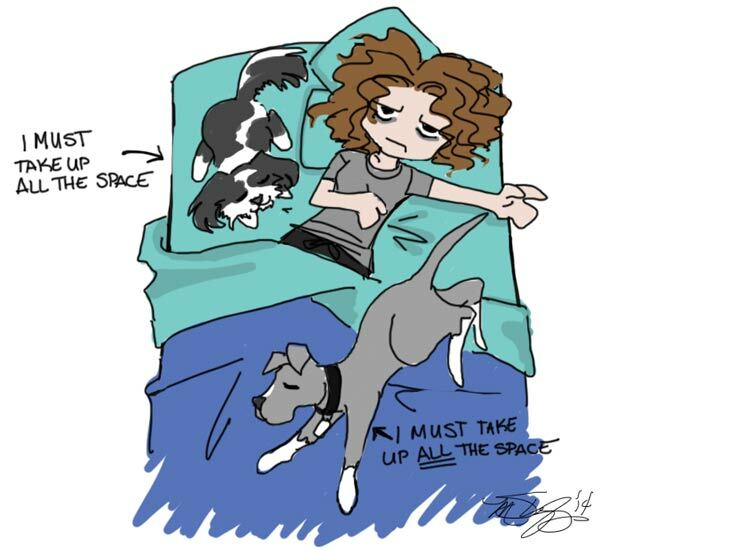 Bear and I have an unspoken agreement when it comes to sleeping arrangements. He gets one side of the bed, which he curls into a tight ball and snores the night away. In return, I don’t kick him off the bed in my sleep. 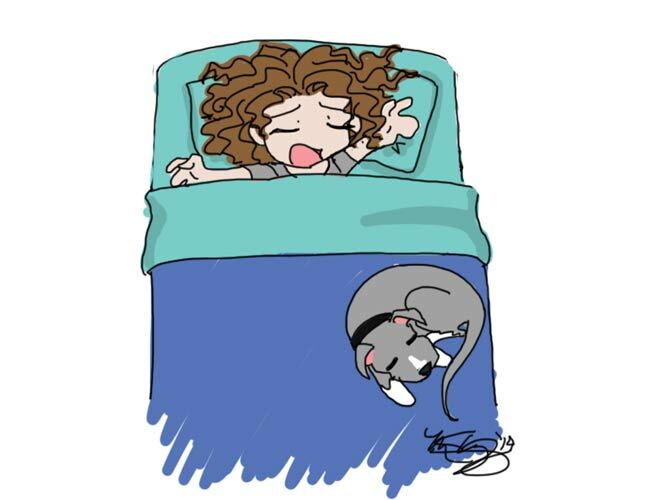 Like me, Dr. K lets Max sleep in bed with her. This made things interesting while she was gone, because now I had two dogs in my bed and they were both being territorial little bastards. They each claimed a side of the bed and proceeded to take up as much space as possible. You gotta love dog logic.